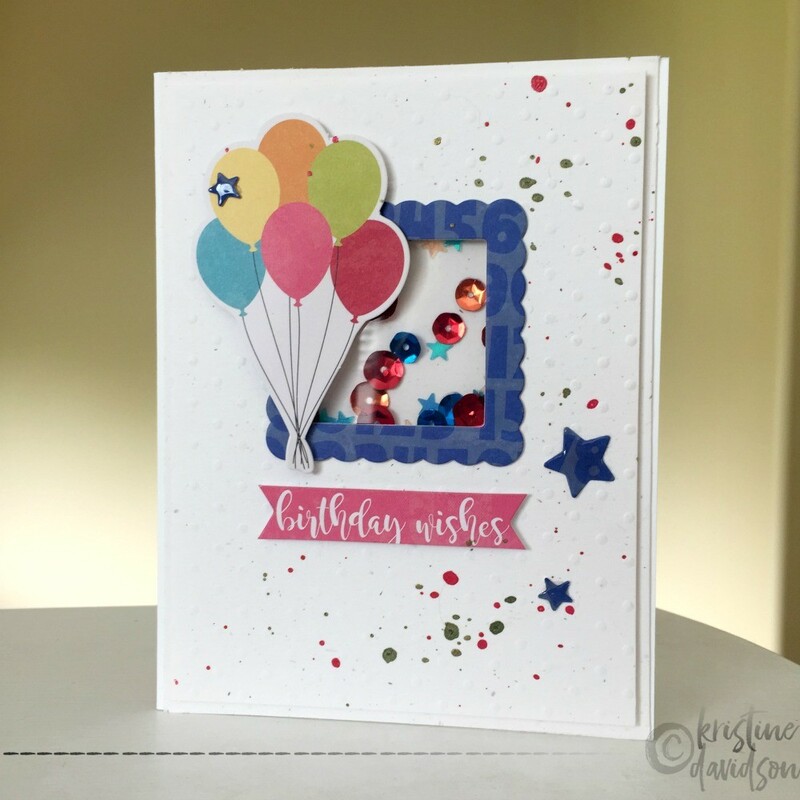 A little sparkle and shine on your birthday perhaps!? 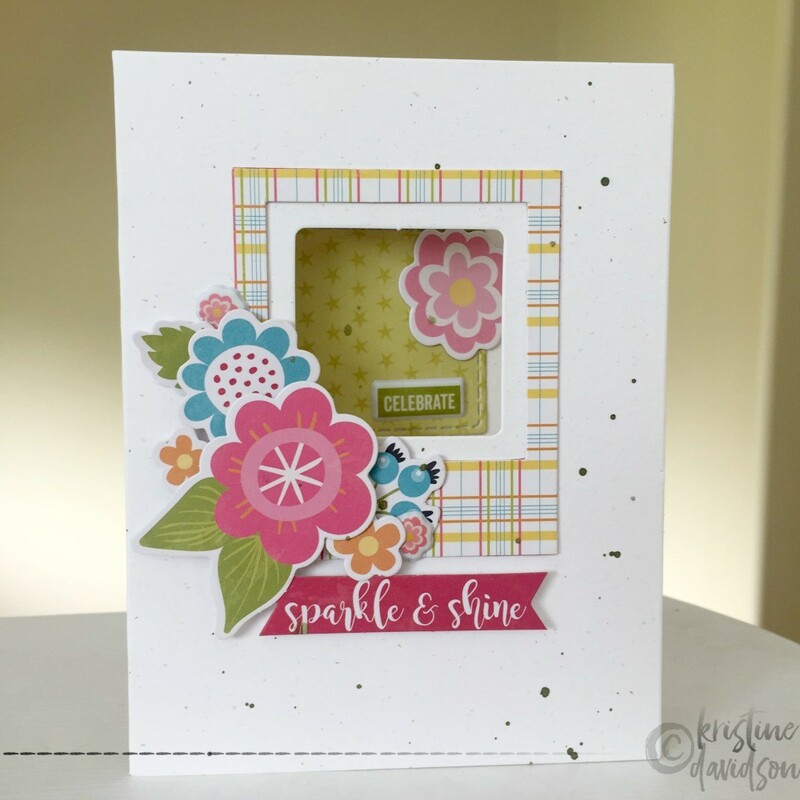 Created for Jillibean Soup using the shaker card base but used as a window instead with no cover. Great way to decorate the inside of your card ! For More great layouts from the Design Team Visit Bean Talk! 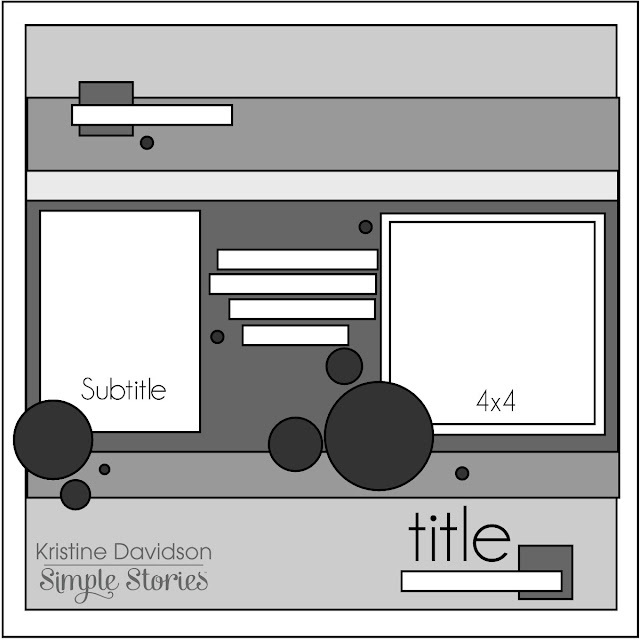 I am sharing 2 layouts featuring the Simple Stories Simple Set - Hello Lovely. I used only the collection kit and some enamel dots for these layouts and I was so easy. 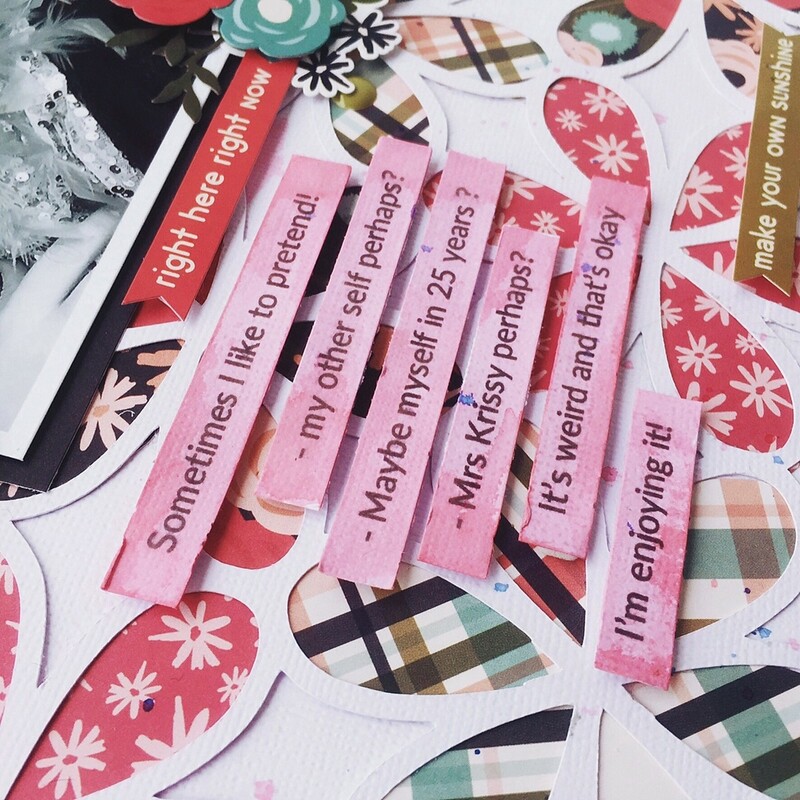 I had a precut background all ready for me and I brought this to a crop a few weeks ago. It was easy to pack - Just a kit, some cardstock and adhesive. A great way to create at a crop or a friends house! This is my first layout - Called "Smile Big"
- As you can see I didn't use a large title for this page, I felt that the 3x4 element card was enough with a sticker on my photo. A nice easy title is something I like on my pages. I really don't like stressing about that too much. 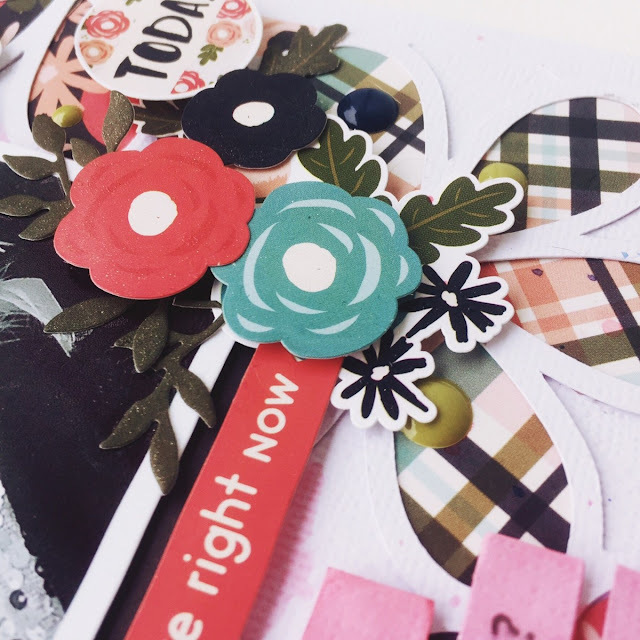 A few clusters around the elements card and photo just bring the entire page together. Here is a sketch I created just for you based on this layout. 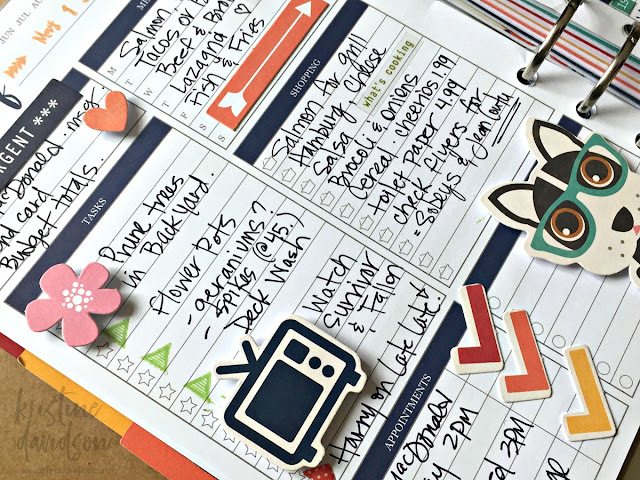 I used a digital die cut for the background - created by Paige Evans. 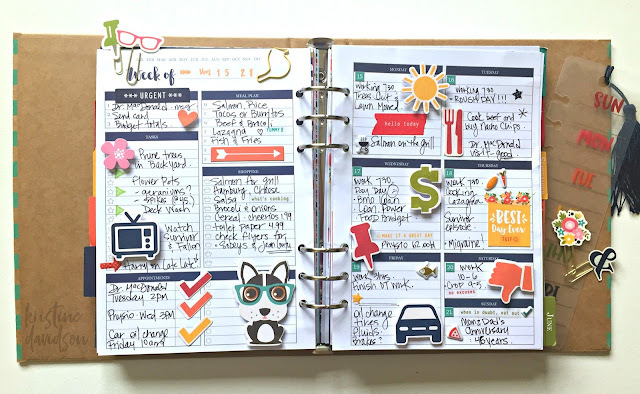 It was so easy to create this page even if it looks complicating. I created this page in a few hours and really loved piecing papers and doing an assortment of flowers on this page. 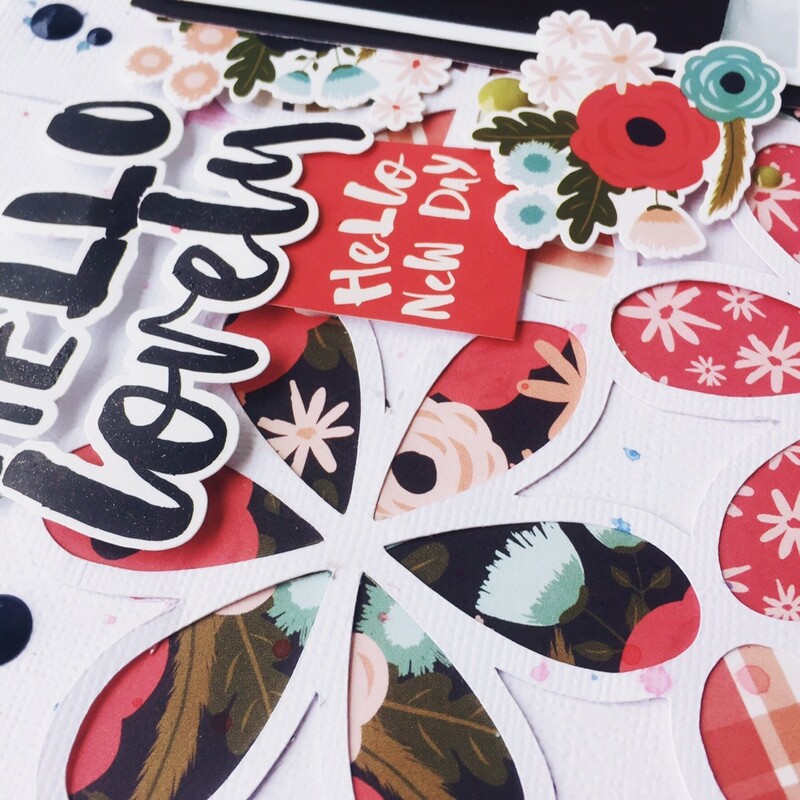 You can see the cluster of stickers and also some of the paint splats I created. 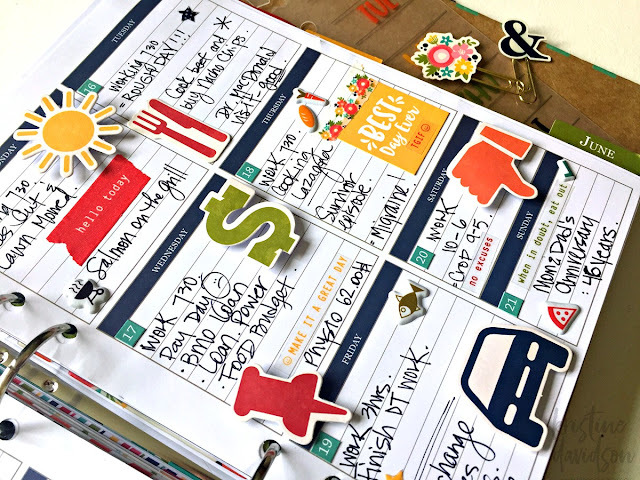 I am sharing a planner spread I created for Jillibean Soup today! I really enjoy planner products and the Jillibean Bean soup planner elements are so fun to use. I even added some diecuts from the Chi Chit Chowder collection. 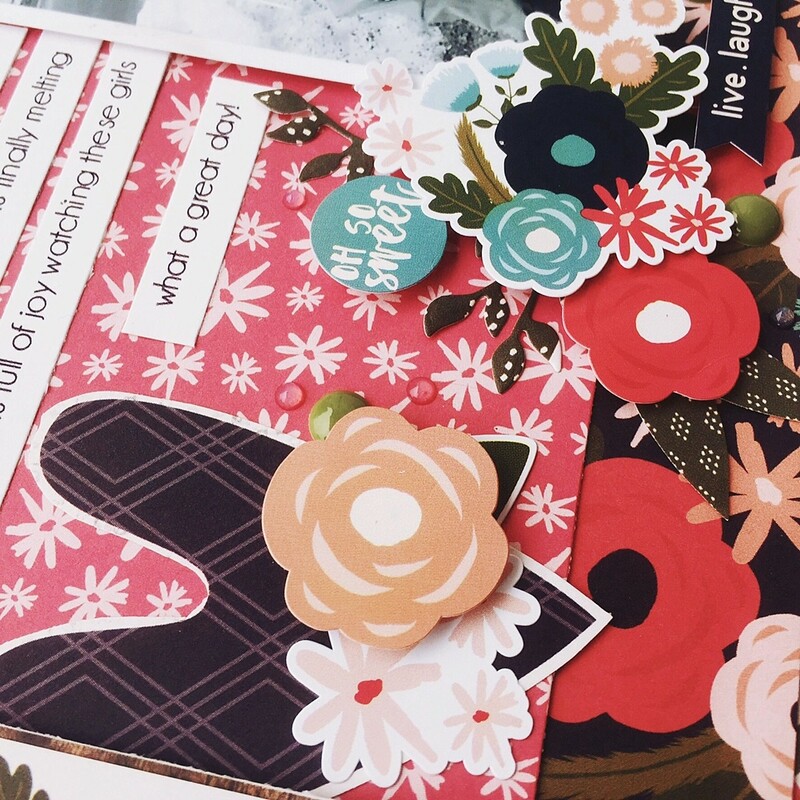 This card I created for Jillibean Soup was so easy and so fun to do. 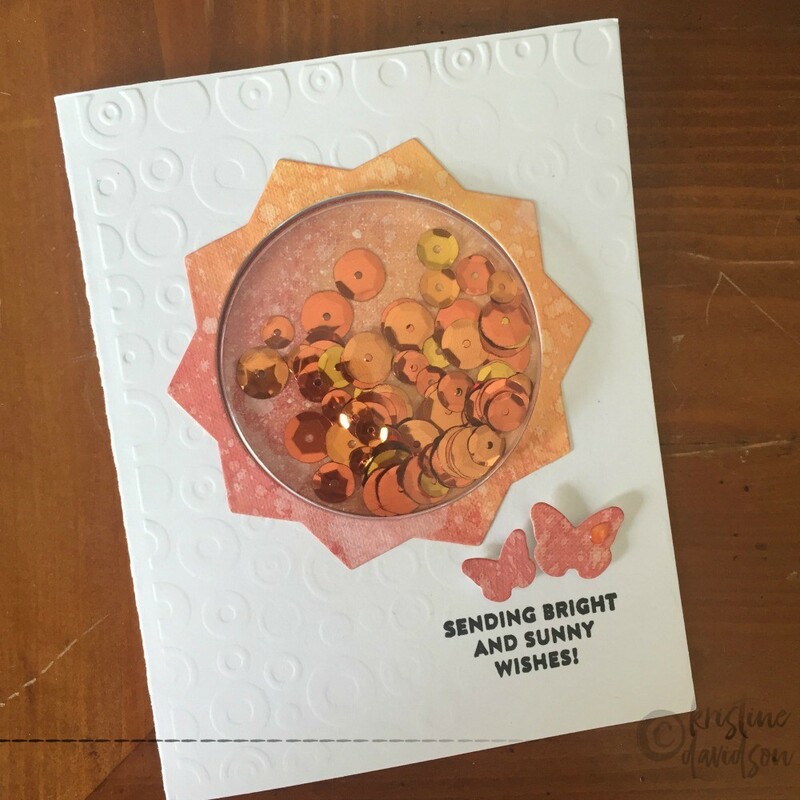 I used a cut 3x4" card from the Bite Sized Bits paper - Souper Celebration collection and a few adhesive sequins and that's pretty much it. I added a diecut crown, a tag and well of course my twine. Easy Peasy! 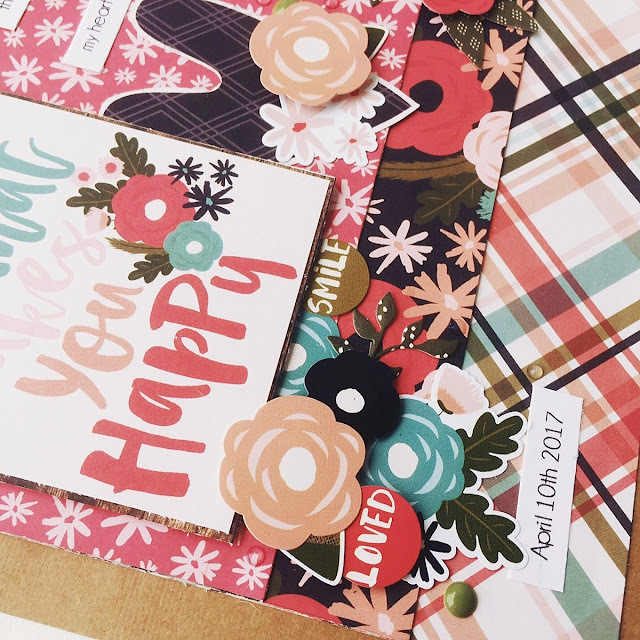 I am loving creating cards right now. 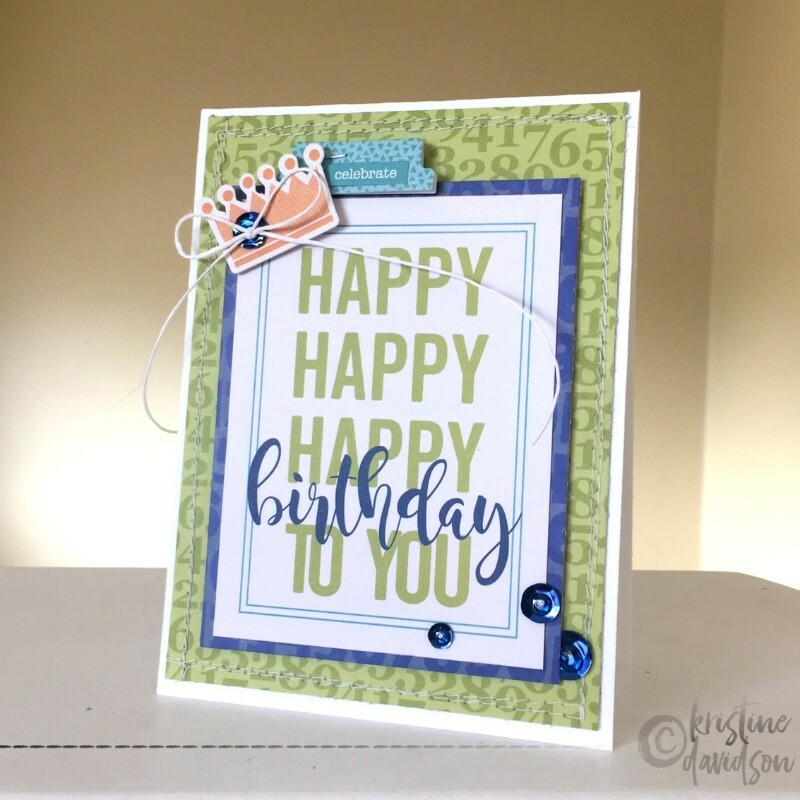 I really am trying new things and below is a card I created with some Jillibean Soup - Souper Celebration. I did some embossing, created a shaker card with a card base but used some acetate, and of course some splatters. So much fun for a birthday card!